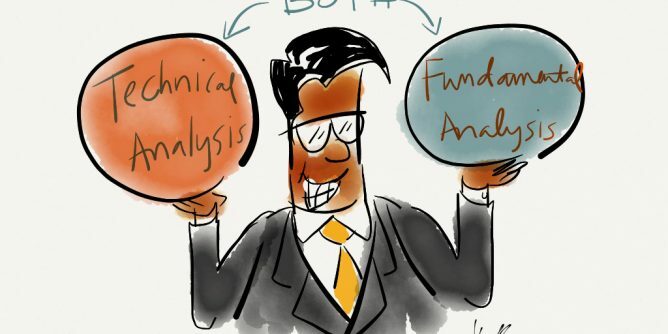 Which one is better fundamental analysis or technical analysis? both of them have their advocates and adversaries. I believe that this is a false comparison because these are completely different. When we are talking about Forex technical analysis we are talking about statistics generated by market activity and probability according to the market movement prices in history. Technical analyzer tries to predict market according to the mathematic formulas and rules. When we want analysis market fundamentally we should analysis fundamental news indicators fundamental analyzer try to understand economic and study everything from the overall economy and industry conditions to the financial condition and management of companies and countries. Well as you see fundamental analysis is not comparable with technical analysis there is a lot of information about Forex fundamental analysis and Forex technical analysis on the internet and you can learn both of them because technical analysis is easier most Forex traders prefer to analyze Forex market by technical rules.